Summa Linguae has acquired Nordic language service provider Kommunicera, headquartered in Gothenburg in southwestern Sweden. Summa Linguae paid a total consideration of SEK 17.5m (USD 1.95m), which amounts to five times EBITDA but less than half times revenue. The deal was closed on November 20, 2018 and was financed with Summa Linguae’s own funds and new debt. Kommunicera generated 2017 revenues of SEK 42.5m (USD 4.68m) in 2017, which is not far off Summa Linguae’s own 2017 sales of USD 5m. The company is now forecasting around USD 12m in revenues and EBITDA of USD 1.2m for 2018, adjusted for one-off M&A costs. The figures are consolidated to include pro-forma revenues for Kommunicera (2018) and Mayflower (2017 and 2018), an Indian LSP that Summa Linguae took a 100% stake in last September 2017 following an initial 25% share swap. To find out more about the acquisition, Slator spoke to Summa Linguae CEO Krzysztof Zdanowski, who described the two companies as “almost identical” in terms of their customer base, service offering and approach to technology. Yet the two had “virtually no” customers overlap, Zdanowski said. 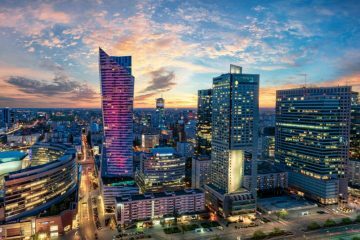 Poland-headquartered Summa Linguae is listed on the Warsaw Stock Exchange and has a client base in government, e-commerce, retail, and also works across the e-learning / multimedia and IT verticals, while Kommunicera is primarily focused on e-commerce and retail customers. Summa Linguae also has a staffing unit that brings in USD 2m annually, Zdanowski said. In addition, both companies work with direct customers who have a typical annual localization spend of between USD 400,000 and USD 1m, and neither company derives much income subcontracting from other language service providers. Both companies work with direct customers who have a typical annual localization spend of between USD 400,000 and USD 1m. Sweden-headquartered Kommunicera’s stronghold in the Nordics was of particular appeal for its new owner since Summa Linguae wanted to expand into the region, Zdanowski said. “Scandinavia is a very important geography in our industry,” Zdanowski emphasized, an opinion almost certainly shared by Benjamin du Fraysseix, CEO of Technicis, who also entered the Nordic region recently through the company’s October 2018 acquisition of Finland-based AAC Global. 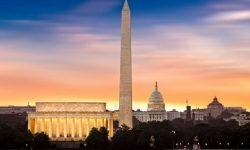 Following its acquisition of Kommunicera, Summa Linguae will have 140 employees located across seven offices in India, Poland, Romania, Sweden, Finland, Denmark and Norway, Zdanowski said. 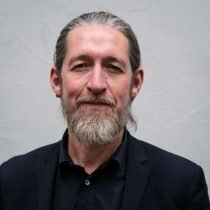 Kommunicera co-owners Maare Tomson Ollin and Johan Laestadius, who was also its founder and CEO, will both be “retiring after a short transition period,” Zdanowski confirmed. Summa Linguae has also brought in a new MD for the Nordics in the form of Lea Backhurst, former Head of LanguageWire’s Sweden Office. Zdanowski said that Kommunicera and Summa Linguae will be brought together under one brand, and the new company will be renamed “Summa Linguae Technologies”, a nod towards the increasing role tech plays in the language industry. Summa Linguae will soon begin the work of integrating technologies. The company will keep working with all of the current translation productivity (CAT) tools used by Summa Linguae (XTM and Trados) and Kommunicera (MemoQ), but the decision of whether to keep Kommunicera’s proprietary translation management system (TMS) or move to Plunet, which Summa Linguae currently uses, still needs to be finalized. Zdanowski also identifies another big challenge that still needs to be overcome in order for NMT to become more successful and less risky in a real-life production environment. The same thing that makes NMT so good, its level of fluency, can also be its greatest weakness, and translators “may not spot all that needs to be fixed, because they are misled by natural fluency,” Zdanowski warned. Whereas current tools “basically import MT output and let the translators do their thing without any assistance,” what is actually needed, Zdanowski suggests, is “quality control tools that are much smarter” and can “point to where there might be a problem.” One way of doing this would be to “use substring lookup in TMs to find probable issues in the MT output,” Zdanowski added. Along with its interest in NMT, Summa Linguae is also betting on Blockchain, the technology powering Bitcoin and other cryptocurrencies. Zdanowski told Slator that Summa Linguae has provided USD 1m in seed funding to Exfluency, which is attempting to launch an ICO. On this latest Kommunicera deal, Summa Linguae was represented by Nordia Law (in the Nordics) and CK Legal (in Poland), and Enterium provided M&A and Financial services. The companies were introduced by Anne-Marie Colliander Lind (Inkrea.SE Consulting), who also acted as the M&A broker for Kommunicera. 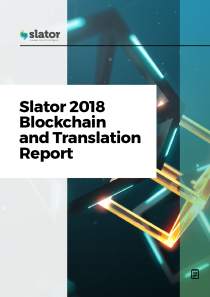 Download the Slator 2018 Blockchain and Translation Report to read the latest insights on blockchain projects in the language industry.